Southeastern will be incredibly blessed by this man of “credibly furrowed brow.” I’ve known Dr. Welty for the past 15 years and can say that he is not only a lucid thinker and communicator, but also a man marked by faithfulness–to God, to family, to the Lord’s church. It will be a great loss to Southwestern Seminary, but there are bright days ahead for Southeastern. 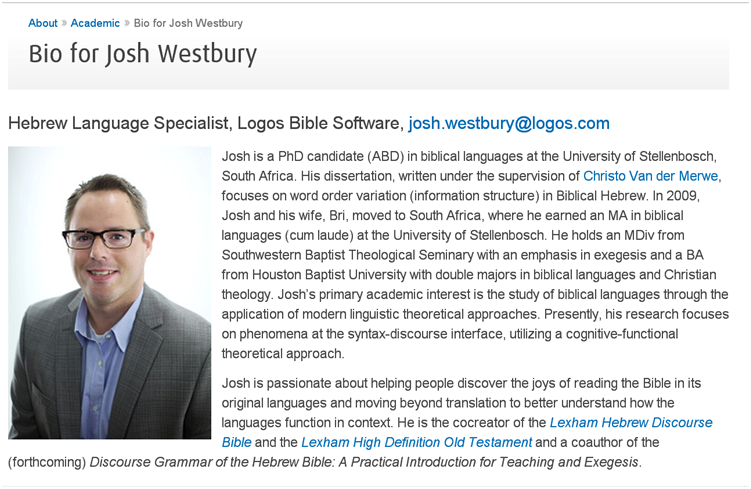 So, congratulations to Greg Welty and to SEBTS!